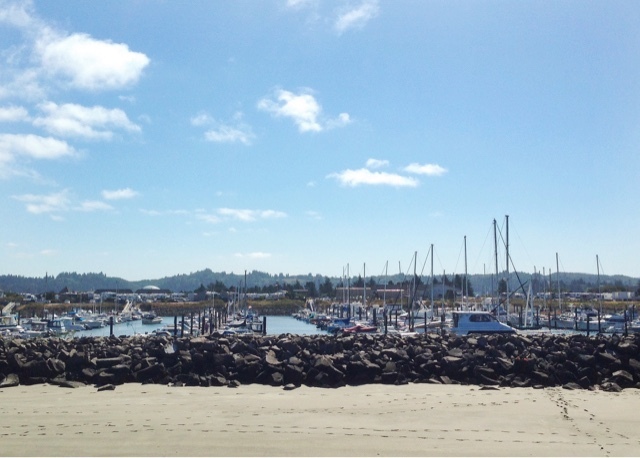 Last weekend we headed over to Newport, Oregon to meet some friends to go crabbing. 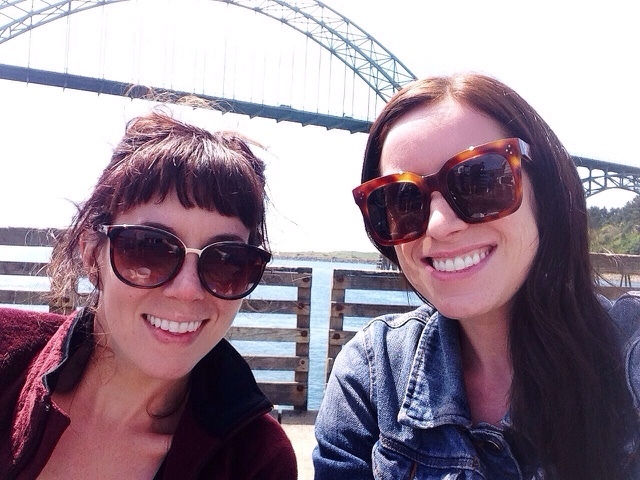 This was our first time crabbing. 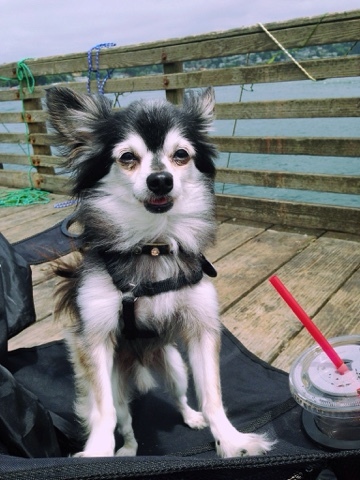 The weather was good, and we did a pretty good job catching crab. We caught Dungeness and Red Rock crab. Well, the boys did most of the work, but we were great cheerleaders. 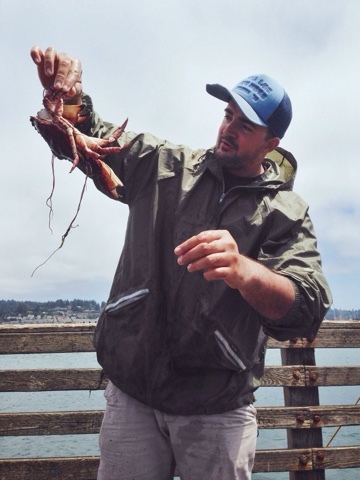 It was pretty exciting to pull up the crab pod to see if you caught anything good. We will definitely be going crabbing again soon! Kris making friends with a crab. 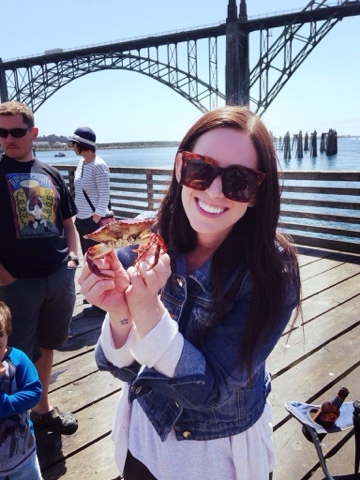 My first crab catch! We threw it back, because it was so small, but it was pretty cute. Diesel had so much fun. He passed out as soon as he got in the car to go home. The next night Kris made a flatbread with the crab we caught, bacon, shallots, garlic, tomato, spinach, and little parmesan. It was soooooo good!